The one and only Ask Dr. Hal Show returns to 12 Galaxies in San Francisco each Wednesday night starting September 13th. After a fling with Mondays as its signature night, entrepeneur/ringmonster Chicken John, the Yeoman of the Showmen, has determined that we will tread the boards once more at mid-week in the cavernous but welcoming space of 12 Galaxies, 2565 Mission Street near 22nd. 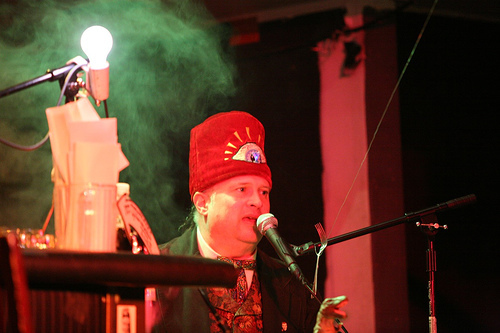 The award winning (in the Bay Guardian) show is guaranteed to amuse, entertain and educate in its time-tested manner. You’ll see old friends and experience new surprises. Like an old wine, some things just get better with age.